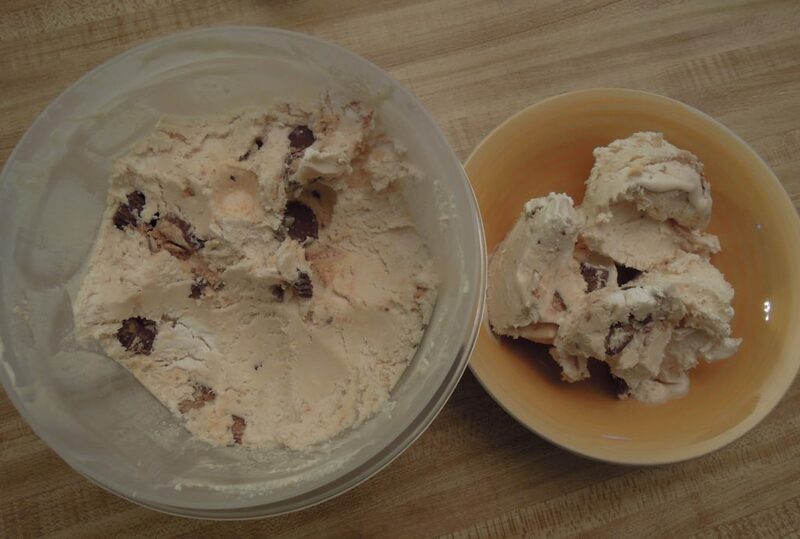 Did you know you can make ice cream without an ice cream machine? 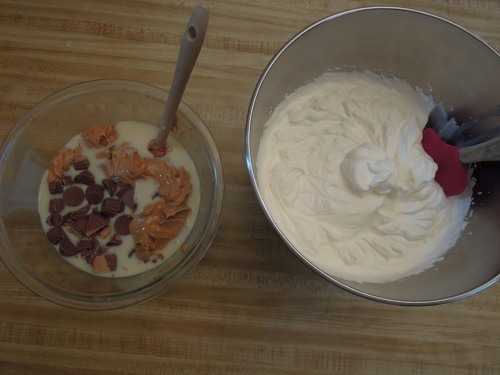 Did you know you can make ice cream with only two main ingredients? 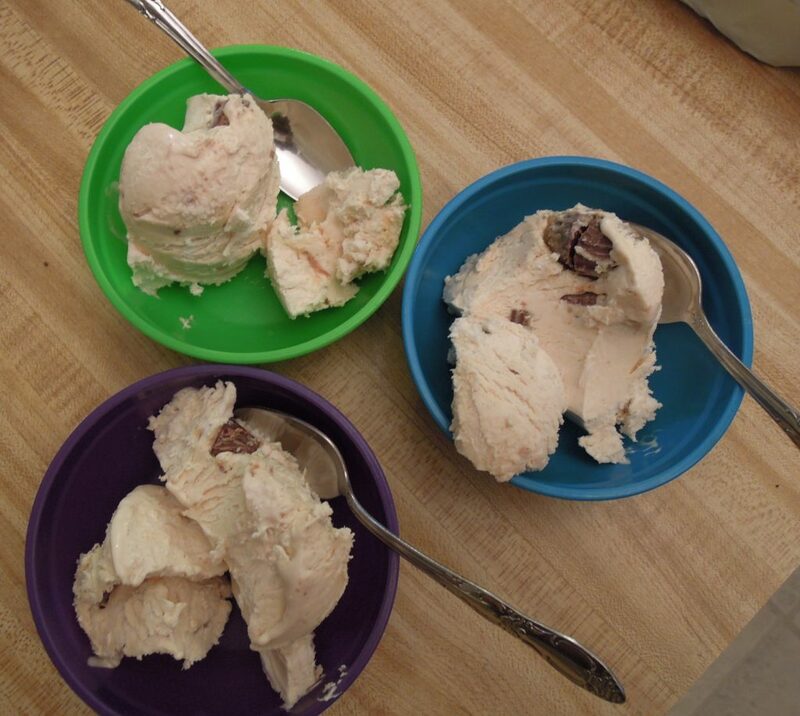 My boyfriend’s family has a tradition of making ice cream when they get together for the Fourth of July. Real, sit around the machine, crank the handle homemade ice cream. This recipe is not that ice cream. 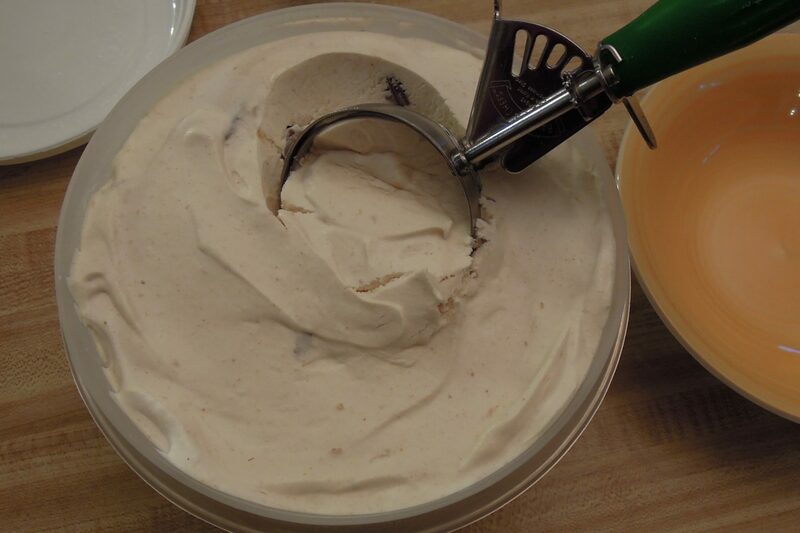 We are not visiting Terry’s family this year for the Fourth, so I am not prepared to share that tradition and recipe with you yet, but I decided to make my own ice cream for this holiday weekend anyway. Fast, easy, don’t need a machine ice cream. I came across this idea years ago and almost forgot about it. If you have a reasonably well-stocked pantry, you may have the recipe sitting right under your nose. It is frequently on the inside of the sweetened condensed milk label. 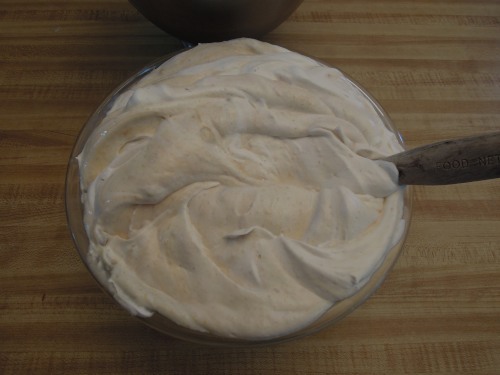 Yes, you can make really good ice cream with whatever combination of add-ins suits you with just a can of sweetened condensed milk and some heavy whipping cream. It comes together in only about ten minutes, but, just like traditional homemade ice cream, you do have to wait for it to freeze–about six hours. With this basic recipe idea, you can create whatever flavor your heart desires. 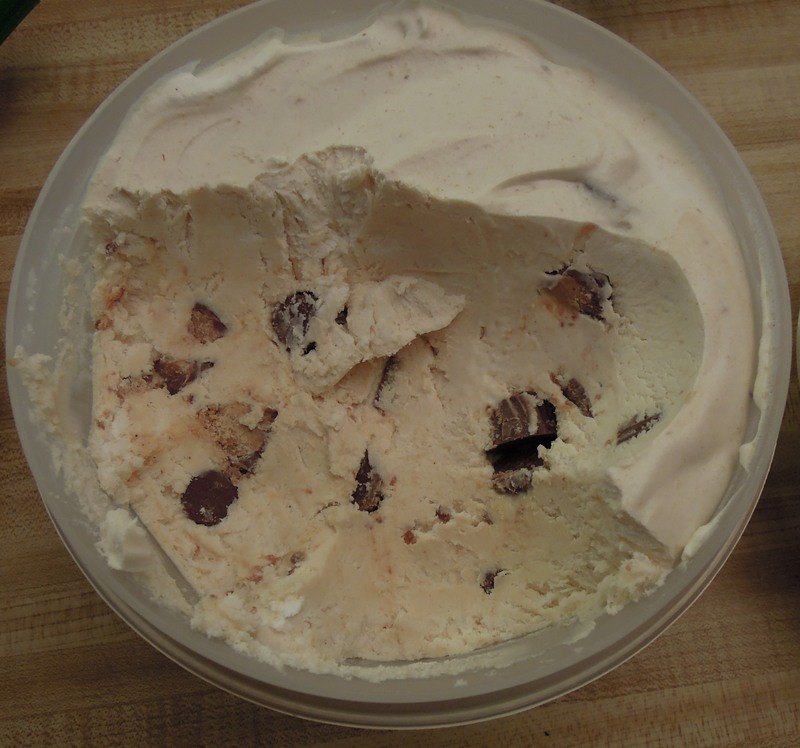 I started with my standard favorite–peanut butter cup. I keep eyeing ice cream makers and thinking maybe I should just get one, but my kitchen is already over-run with gadgets and machines of every description. This recipe makes me think maybe I don’t need one after all. 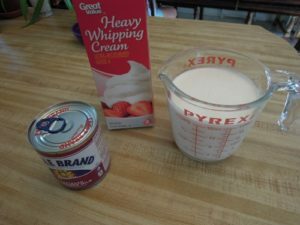 Whip heavy cream until billowy soft peaks form. 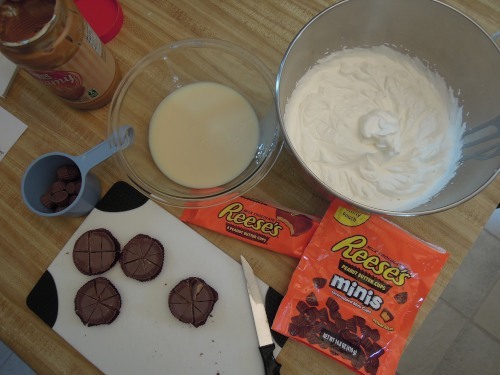 Stir peanut butter and chopped peanut butter cups into sweetened condensed milk. 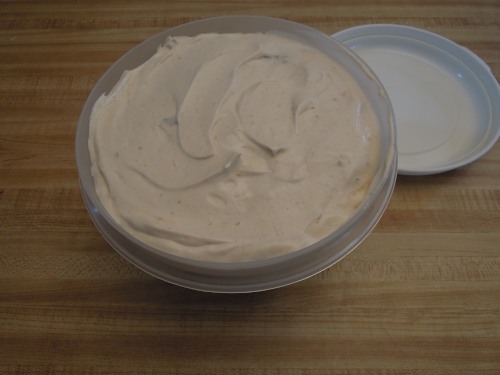 Pour mixture into a freezer safe container, cover, and freeze for six hours or more. I LOVE ice cream! Will be trying this for sure though I think maybe a different flavor. 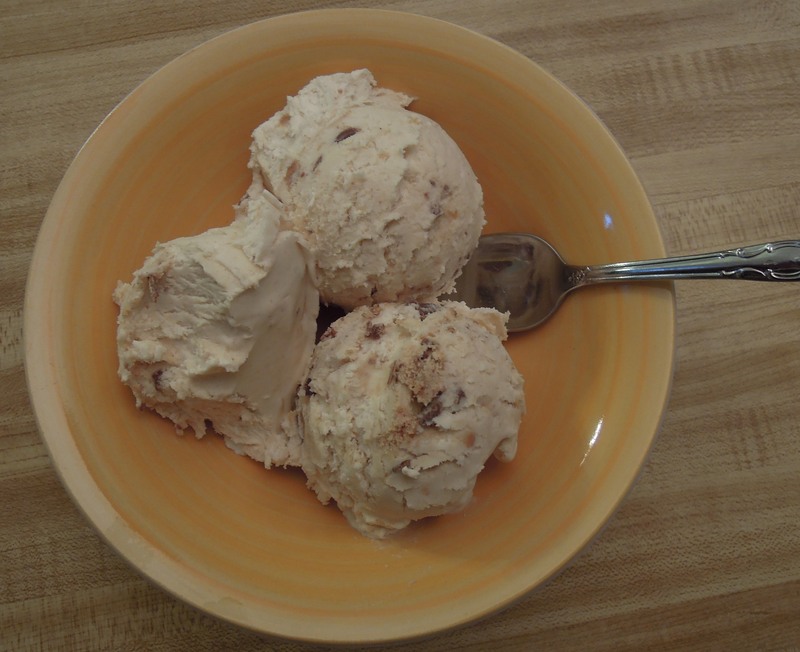 Hubby loves hazelnut ice cream which is hard to find so maybe that will be the first attempt. That’s what I was thinking too–that this recipe is great for those hard-to-find flavors or for your own unique flavor combinations. Let me know how it turns out. I’m thinking I’ll have to try a Biscoff cookie butter one for the Biscoff fans in my life.